Shuttle Disaster Footage Copyrights Purchased & Owned by Paul Flores Darkskywatcher74 TO GIVE A VISUAL REPRESENTATION TO THE PRESENTATION on August 25th 2014 All rights reserved ©2014 Darkskywatchers Global Skywatch Network. 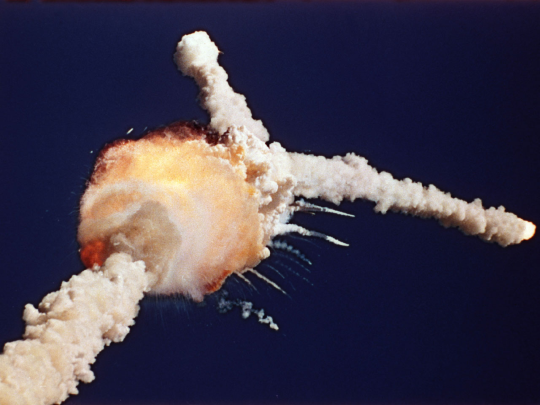 What is the relationship between the Columbia and Challenger Shuttle crashes and the space debris falling back unto Earth and the spread of viral outbreaks? The connection has been explained by the movie The Invasion – please view the movie trailer for a quick explanation. From the falling space debris an alien virus comes to Earth and infects the population and then 30 years to the exact date from the live broadcast Challenger Shuttle crash we have the TV show “The Colony” from earlier this year in 2016 and the “Dishwasher” scene that in code explains what is about to come. Moon colonies and Alien rulers coming with a Transitional Authority. It was all forecast and foreshadowed using the Black Magicians of Hollywood. Because of the “O Ring” the plan failed. The video was posted on Jan 29, 2016 and the date of the January 28th, 1986. A day difference the TV show videos were posted the day after the show was aired the previous night. There is even a warning on the broadcast towards the end of this video to be aware of falling space debris and its potential for being toxic and hazardous. Are we making the connections yet boys and girls?